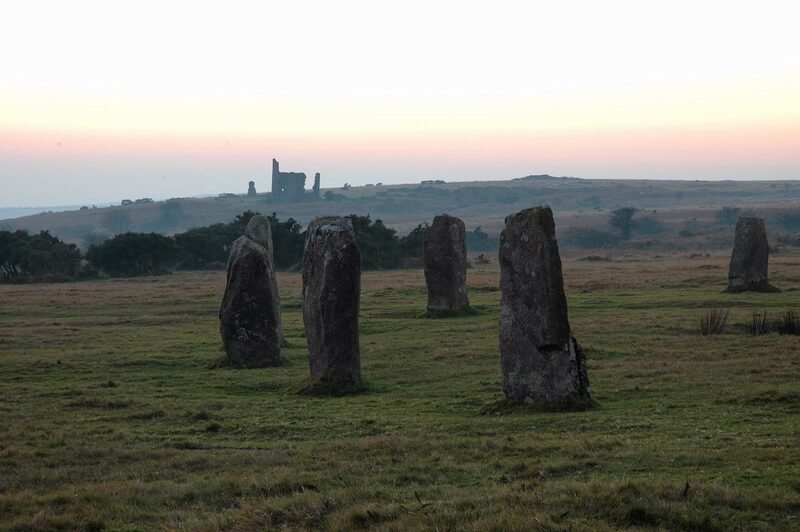 Here in Minions, high on Bodmin Moor, there is not one but three stone circles - the Hurlers. 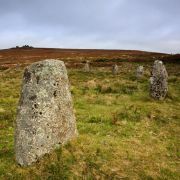 Although not perfectly aligned, they all contain similar stones with a smooth inner face and dressed so as to be graded to fit the landscape and appear to be the same height. The central circle is slightly elliptical, the largest of the three and believed to be the first constructed. 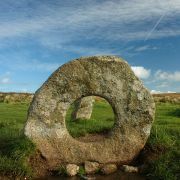 Only 14 of its stones remain upright, though all three circles are thought to have originally boasted over 20 components. It was once joined to the northern circle by a granite pathway, this smaller circle retaining 15 stones and being the most complete today. 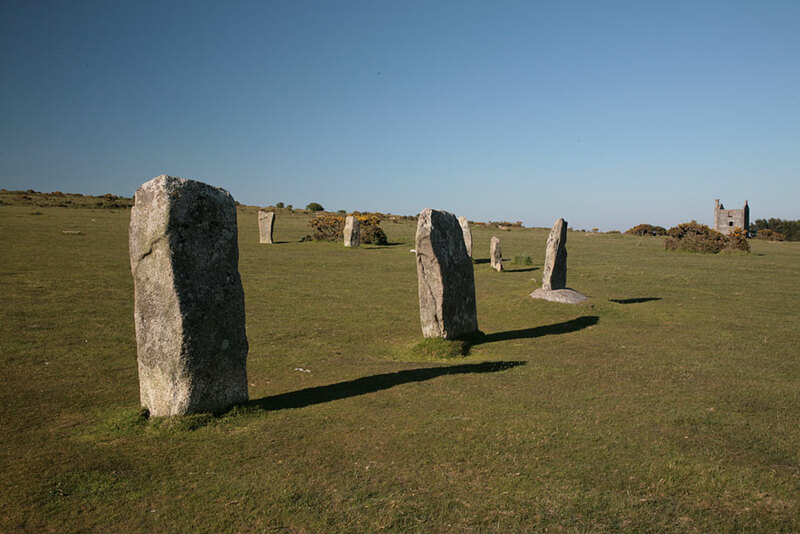 The third and smallest circle to the south is the most damaged with only 9 stones remaining in situ. Some of the stones are straight rectangular pillars, whereas others have a more bulbous diamond shape, leading some to believe that they represent male and female respectively. The name The Hurlers derives from morally-loaded folk tale of people petrified for failing to observe the Lord’s Day, in this case local men playing the Celtic sport of hurling. The Merry Maidens and Nine Maidens are other Cornish megalithic sites with similar warnings attached. Furthermore, just to the west of the three circles, two large menhirs stand like gateposts and are known as The Pipers - yet more rebellious locals. 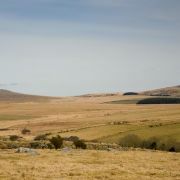 However, it is likely that this Bronze Age site was of much more significance, being used for ritual and ceremony, in other words activities deemed Pagan and unacceptable to early Christians hence the cautionary tale. 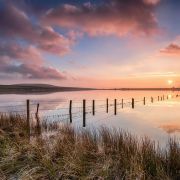 The location of the Hurlers is of relevance as they lie near the convergence of two rivers, conveniently placing them where travellers and traders would have met. 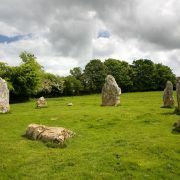 Such a location is not uncommon for stone circles. 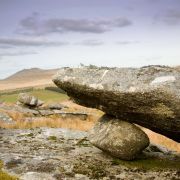 The surrounding countryside is also peppered with other ancient ceremonial remains in the shape of cists, barrows and standing stones.